Malcolm Fox: You know in my shoes you’d be considering the selfsame hypothesis. John Rebus: “No brown shoes,” Rebus agreed. John Rebus: "That’s one more strike against you, then,” Rebus stated with a slow shake of the head. Even Dogs in the Wild is a page turner that will give you insomnia. But this is not a conventional review of Rankin’s book. You see I am lucky enough to have him facing my camera on November 16 when he appears at Alma Lee’s latest baby, Cuffed, Vancouver International Crime Festival. Rankin is the official launch in preparation for the festival in 2016. Rankin will be at St. Andrew’s Wesley at 7:30. Rankin in front of my camera is special as he did this for me in 1997. After our session in my Robson and Granville studio he asked me to take him to record stores in search of recording (in vinyl) of black American jazz saxophonists. When you meet an author in person outside of a book reading and signing you get glimpses that invariably lead you into wondering how much of any writer’s novels are autobiographical. But let me digress, something that I will do here in much the same way as my Rosa ‘Albertine’ rambler. On my own looking for a P.D. James I discovered Canadian J. Robert Janes and in search of a Raymond Chandler found Jerome Charyn and share a passion for the Newyorican writer with my friend George Bowering. From former Mystery Merchant bookseller Robert Blackwood I was pressured into reading Donna Leon but I give credit to myself for Andrea Camilleri’s CommissarioMontalbanos. And Elmore Leonard thanks to my many years of being with Book-of-the-Month Club. My interest in crime fiction faltered as began to read in my native Spanish which did point towards Manuel Vázquez Montalbán, Paco Taibo II and Arturo Perez-Reverte. But of late I have consumed three Ian Rankins. Besides the aforementioned latest I read Saints of the Shadow Bible, 2013, and Standing in Another Man’s Grave, 2012. And yes insomnia has set in as I have found myself immersed in the life of a 55-year-old man (who to me feels my age) who is experiencing a changing world of social media, twitter and a dwindling supply of real time, real life, informers. Informers like real time, real life policemen have all become disappearing dinosaurs and John Rebus represents that token survivor. My writer friend John Lekich years ago gave me a piece of advice that I have rarely followed to my detriment, “Never ask an actor about a former spouse.” To this I can add another, “Never ask a novelist how much of a book’s content is autobiographical.” In a trip to Lima in the ealy 90s I faced writer Mario Vargas Llosa and told him that many if not most of the cafes and even an ice cream parlour in his novels based in Lima were actually exactly where he said they were. I showed him a picture of the ice cream shop. The nasty look on Llosa’s face warned me not to ever go there. For me it is enough that Rankin plunks his old-guard protagonist into a modern world that is confusing to both the protagonist and this reader. In all of the three of the latest Rebus novels, our IPA drinker, Saab driver and smoker, results are found through both internet searches (and social media postings) with old-fashioned shoes-on-the ground detecting. But finally, and most special to me is how Rebus experiences a table turning. From a Detective Inspector he becomes a consultant, has to empty his desk a couple of times and finds himself under the orders of his former understudy Siobahn Clarke. As an aside here you will have to search elsewhere to find how to pronounce Clarke’s name in the same way as Reginald Hill only once (in the first Dalziel/Pascoe novels) reveals the pronunciation of the fat man’s Christian name. 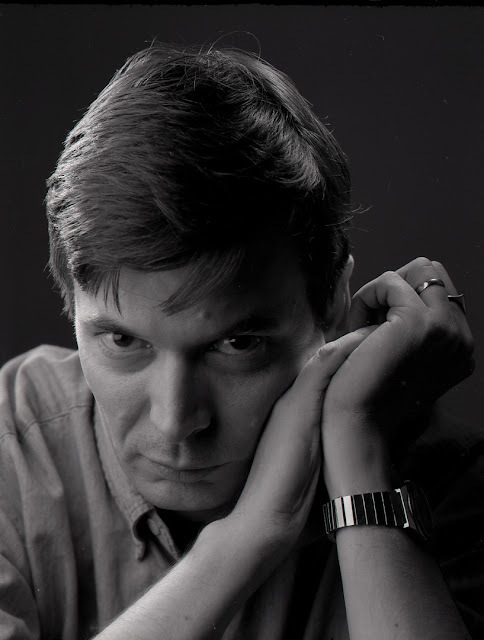 There is another bright spot in the Ian Rankin horizon. This is the appearance of another protagonist (two stand alone novels The Complaints and The Impossible Dead) Malcolm Fox who is 20 years younger that Rebus (and unlike Rebus a former alcholic with a penchant for tomato juice and lemonade). From almost enemies in Saints of the Shadow Bible, they become friends and colleagues in Rankin’s latest. I can almost feel Rebus (Rankin?) letting go and letting Fox enter the picture in first person narrative chapters while Rebus slowly becomes paternal as Fox shows interest in Clarke beyond just the office. I look forward to further happenings in Rankin’s Scotland with his “family”. And I shall have to find out what IPA is all about. I have gotten rid of my solitary pair of brown shoes. In Even Dogs in the Wild Ian Rankin introduces a character that reminds me of Asta.